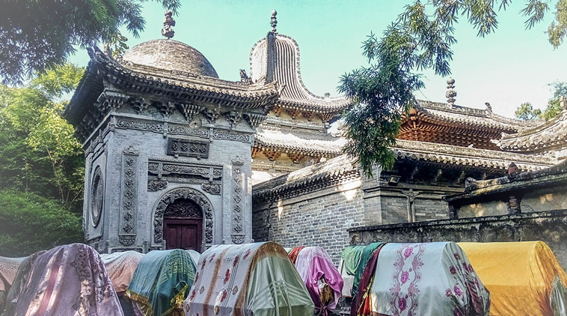 In this paper, I argue that during the Ming and Qing dynasties (1368-1912), the ritual activities of Muslims in China were woven into the broader landscape of Chinese popular religion and even the administration of the imperial state. Scholarship on China’s Muslim peoples has often painted two extremes, in one instance stressing the role of Muslims in violent uprisings of the nineteenth century while in another instance highlighting the literary works of Muslim gentry who blended Islam with Confucian thought (the “Han Kitab”) during the Ming-Qing period. Drawing on legal, commercial, and religious documents in Chinese, Arabic, and Manchu, I show that this binary is not sufficiently representative of Islam’s historical practice in China. In order to understand how Islam was practiced, how Muslims lived, and how the Chinese state engaged both Islam and Muslims during the late imperial period, we have to recover Islam’s dimensions as a “local” Chinese religion. Tristan Brown is a scholar of Ming and Qing China, with interests in environmental history, legal history, as well as the history of Chinese borderlands. Currently a JRF in Asian and Middle Eastern Studies at St John’s College, Cambridge, he has published widely on topics of Chinese law, environment, and religion. Educated first at Harvard College, where he read Chinese and Arabic, Tristan did his graduate degrees at Columbia University before moving to Stanford for a year to work on his first book monograph, The Law of the Living Earth: Fengshui, Property, and Environment in Late Imperial China. Material for this talk derives from his second project, The Prophets of Beijing: Islam and the State Cult in Late Imperial China.